Google is still doing the statue thing whenever they reveal a new version of Android. 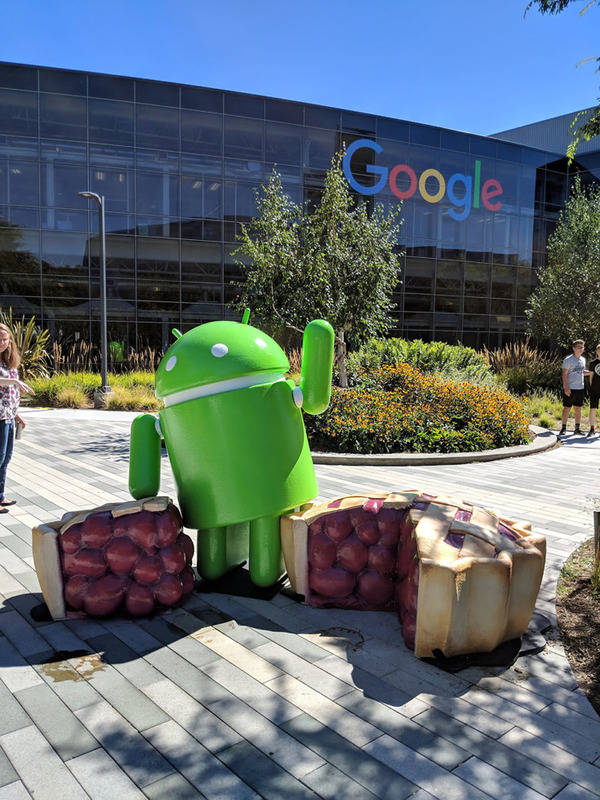 And since Android Pie went official yesterday, the Android Pie statue arrived on Google’s campus. 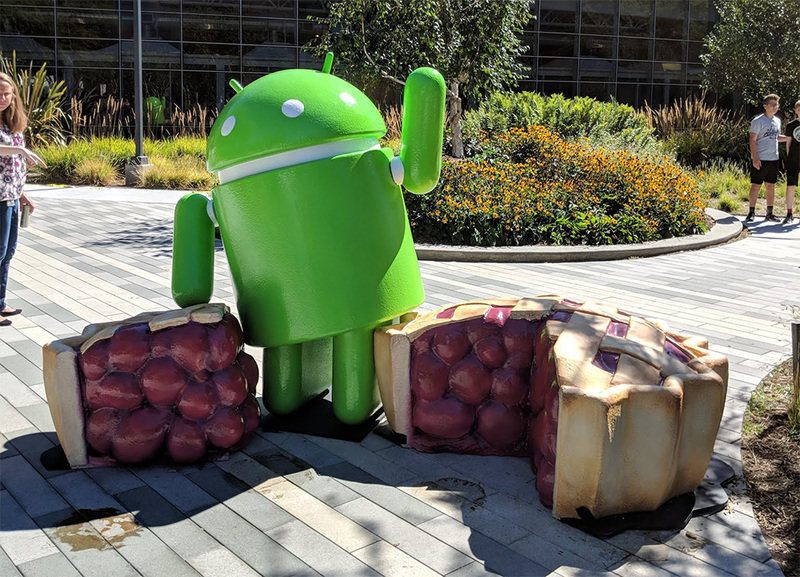 It’s, umm, a Bugdroid standing in-between a piece of pie that has been pulled from a full pie. Its hand is in the air like it just doesn’t care. It’s…OK for an Android statue. It’s no KitKat statue. Or Jelly Bean. Or Ice Cream Sandwich. Even the Oreo statue was more inspired than this guy. But I guess it’ll do the job until we get to Android Q.